Thanks to the work of dedicated volunteers, Rugby has a new, very precisely detailed trail map. Copies of the map are free at the Historic Rugby Visitor Centre. 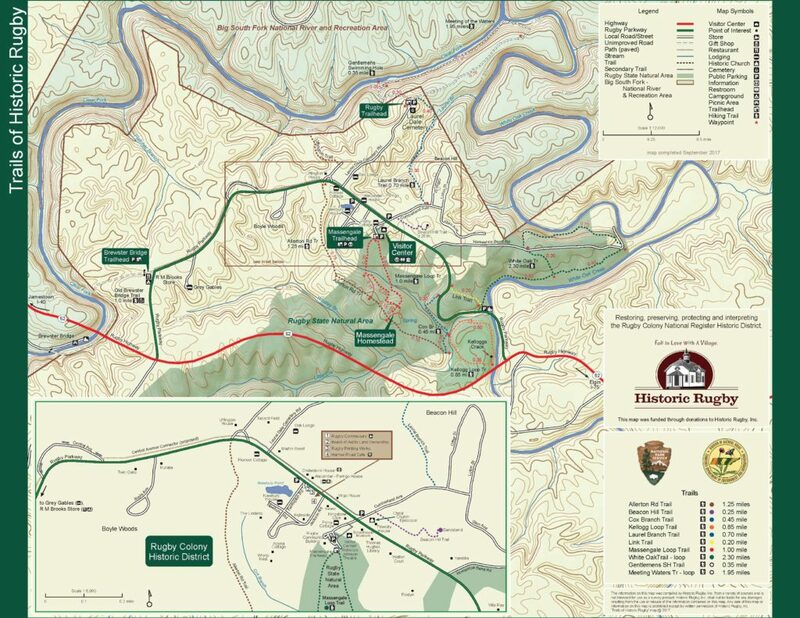 The map provides accurate distances for all trails leading from Rugby into the The Big South Fork National River and Recreation Area, plus trails through the Rugby State Natural Area. There are kiosks in front of the Visitor Centre and Uffington House that feature oversized versions of the map so you can plan your hikes. A copy of the map is also on the wall of the Harrow Road Cafe outside on the side porch.